The Supreme Plan is for those who just want MLS and Realtor.com and know how to do all the work (countering/negotiations and meeting the terms of the contract). It does not include: FSBO Listing (1/3 of buyers come in FSBO and then there is NO commission), nor does it include Showing Service, signs, lockbox, Facebook, featured home, etc. The Enchilada Plan is for sellers who want MLS, Realtor.com and FSBO Marketing (the best of both worlds). Find the buyer FSBO and Pay ZERO Commission. If the agent finds the buyer - only pay up to 3%. This plan offers all that the Supreme offers plus, the FSBO Listing on the #1 Virginia FSBO site, CMA/Market Analysis to guide you with pricing your home, a combo or realtor lockbox (shipping, tax and deposit are extra) and a sign panel (a small shipping fee is charged if you want the sign). This listing is good for up to 12 months. UNLIMITED CHANGES IS STRONGLY RECOMMENDED. Our Whole 9 Yards package is for sellers who want the ultimate marketing. This plan includes all that the "Enchilada" offers plus the broker will also review all offers that come in on your property as well as handle negotiations and counter offers with the buyer's agent (so they don't try to take advantage of your) as well as assistance on getting you to closing. This package also includes CSS Showing Service or Showing Time (if available in your area), Facebook Posting, Featured Home Posting, Unlimited Changes and a QR Code to make it EASY for the buyer to reach you. A Post Sign is included upon request. There is a $75 Delivery/Install/Pick Up Fee Charged if you want the sign. This is a refundable deposit charged on the Post Sign Installation and refunded upon return prior to closing, expiration or cancellation. Should the buyer come in FSBO and you need us to draw up the contract - you can simply order the Assistance Option Business Hour Support (included with Full Service) and we will take care of the paperwork and gettng you to closing. Our FULL SUPPORT REALTOR® package is for sellers who want the best marketing and support from the beginning of the process all the way to closing. In addition to all that is included in the "Whole 9 Yards" package where the broker reviews the contracts, handles the negotiations and counter offers with the buyer's agent, broker will prepare the offer when the buyer comes in For Sale By Owner. Contract is set up so seller and buyer can sign electronically. Broker will work with Buyer and Seller to meet the terms of the contract to get all parties to closing. This package also includes Professional Post Sign and Delivery/Installation/Pick Up (if your area is covered). This is a refundable deposit charged on the Post Sign Installation and refunded upon return prior to closing, expiration or cancellation. Until Sold (w/Full Service Plan) only available in MRIS, REIN, CVR, WAAR or CBRAR MLS areas. Canceling your listing at anytime, is not a problem, unless your home is under contract, per MLS rules. All rented signs/lockbox must be returned prior to pulling your listing (by appt only). Display all your pictures on the MLS and most Websites. Showcase your home. Buyers want pictures otherwise they think something is wrong with your home - thus the reason you are not showing all pictures. How many photos are allowed in your MLS? Rush fee is available if you want same day listing. Fee varies for weekend and/or holiday. The MLS will auto feed to these websites - however these are auto-feeds from the MLS! We have no control over these sites or the feeds. If some info feeds incorrectly - you have to contact the site directly to correct. Listing on most real estate company sites (in most areas) - however these are auto-feeds from the MLS! We have no control over these sites or the feeds. If you have an issue with the info on any of these sites, it is your responsibility to contact the site directly. We provide all necessary disclosures needed to sell or lease your property. Our "Online Success Kit" is filled with what you need to sell your home on your own. Don't miss the "Super Showing Secrets". Most Home Sellers want their home to stand out with a Professionally Installed Post Sign. (Not Available in All Areas). **Full Support pkg includes delivery, install and pick up upon request. ***Whole 9 Yards includes the sign upon request & $75 Deliver/Install/Pick-Up Fee is charged. Or you can order the Post Sign Rental / Deliver / Install / Pickup a-la-carte. We do not mail Post, Frame or Directional Signs. Combo Boxes are not allowed in Williamsburg, Richmond or New River Valley MLS Systems. IMPORTANT - READ - Because this is For Sale By Owner and because we do not come to the home to remove the lockbox for you – we offer the below suggestion. 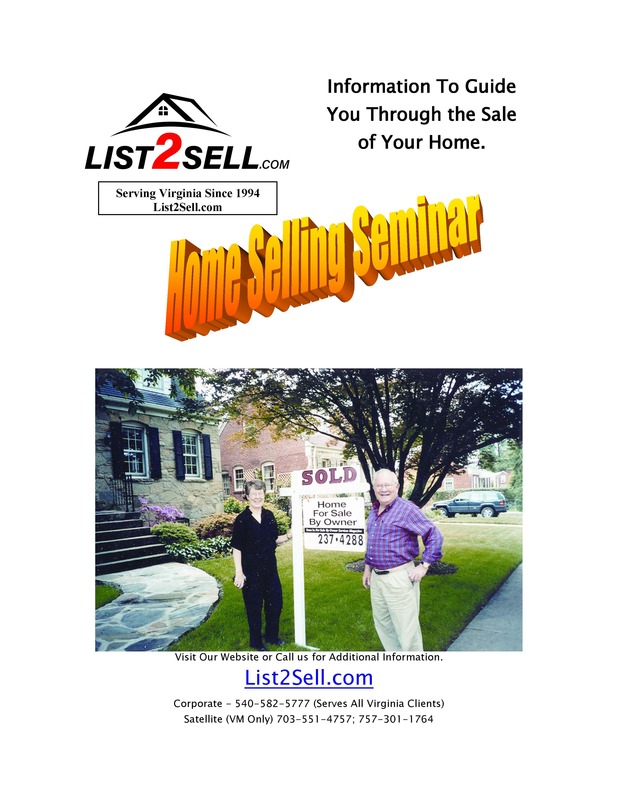 Your Home will be listed on the #1 Local Virginia FSBO Site to give you the best FSBO exposure in Virginia. Be a Featured Home of the Month on our Website. Stand out from the others with direct exposure to Buyers. We will even post your home listing to our Facebook page. Get even more exposure for your home!! Promote your Listing by liking us. We have been selling homes since 1994. We prepare the paperwork and guide both seller and buyer to closing if your buyer comes in without an agent. This means you pay NO Commission. 38% of our buyers come in For Sale By Owner. Decide which package is best for you. * We handle the negotiations with the buyer's agent so you don't have to. * We eliminate the agent taking advantage of you. * We have been negotiating contracts since 1994. * We have been nominated TOP AGENT 4 years in a row and part of the Multi-Million Dollar Club. * Don't let Realtor's take advantage of you. You do not need to worry about answering the phone and setting up appts to show your home. Agents will go direct to the "Showing Time" button found on your MLS Listing. There they will schedule a showing for your home per your instructions. You, the Seller can receive and confirm requests immediately via text or email (even from out of town). Makes showing your home easy for you and the agent. Showing time service app also allows you to get feedback reports from the showing time app. Sorry buyer agent contact info is not available with this app only your listing agent will be able to see that information. **For an additional fee, your listing agent can access those records should the need arise. All other changes are $15 including the required MLS Status Changes (Under Contract, Sold, etc). Need to make a change. No Problem. With this Unlimited Change Upgrade - you get unlimited text changes and 2 complete sets of photo changes. A unique code for each property - the QR Code (which means "Quick Response" - is a mobile phone readable barcode that we add to your brochure so buyers can go direct to your website listing to find your contact information and can immediately reach you. Contract is set up so seller and buyer can sign the contract electronically. Don't waste time printing out the contract, signing manually and then scanning back in as a pdf. assist the title company with what they need to meet the terms of the contract. Seller and Buyer have the comfort of knowing an experienced Realtor is assisting them all the way to closing. The best part is the Seller didn't pay any Commission when the Buyer is For Sale By Owner. 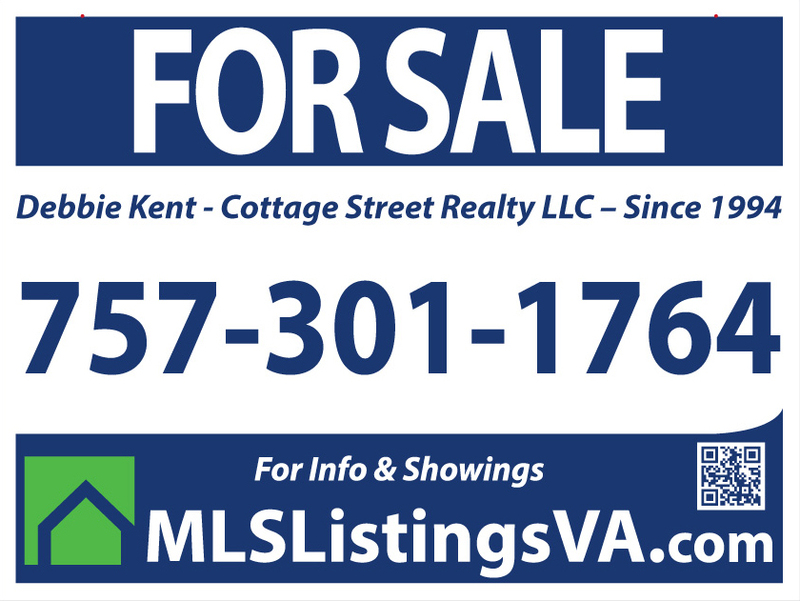 Limited Service in Virginia is the practice in the real estate industry where a seller enters into a listing agreement with a real estate broker who accepts a flat fee rather than a percentage of the sale price for the listing side of the transaction. The buyer's broker is still typically offered a percentage though that could be a flat fee as well. A discount flat fee MLS brokerage typically unbundles the services a traditional real estate brokerage offers and list the property for sale in the local multiple listing service (MLS) a la carte without requiring the seller to use its services for valuation assistance, negotiating, transaction management and showing accompaniment. Flat Fee brokers are real estate brokers, just like the national brand names, but offer discounted or unbundled services. Most flat fee brokers do offer full service brokerage services. 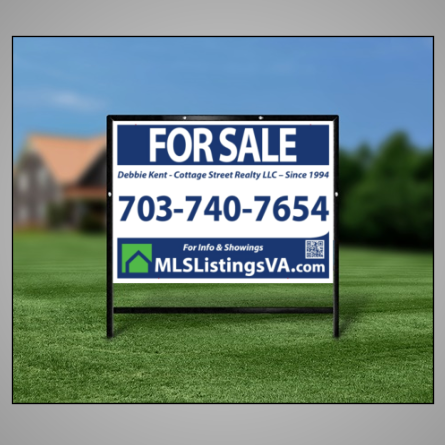 In the Virginia MLS ®, the listing agreement between the Virginia real estate broker and the property owner typically requires the broker to enter the property into the MLS and provide other contracted services, with the broker acting as what the traditional industry has coined a "limited service broker". However, the flat fee industry prefers the term a la carte broker because the services are not limited. Instead freedom of choice is expanded to allow sellers to pick from a menu of services. 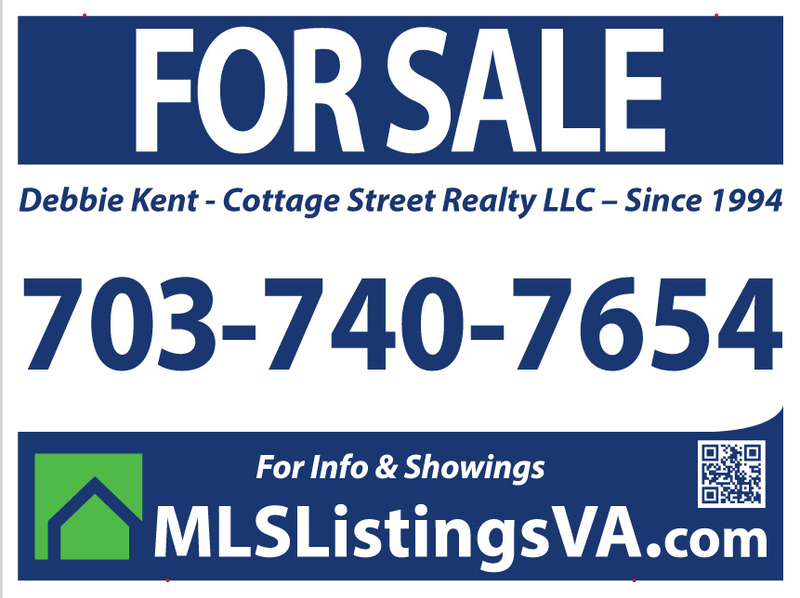 For Sale By Owner MLS Virginia ( Multiple Listing Service) is not different from traditional real estate brokerage services. Because the MLS requires a listing agreement between a real estate broker and property owner, the rapid explosion of discount flat fee service providers has created a gap in the States developing laws governing flat fee services provided by real estate broker. Check if you are not a robot.